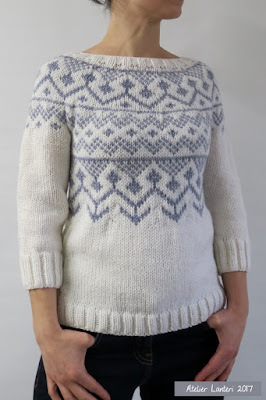 I love to see those beautiful fair isle jumpers and accessories but deep down I know they are not for me. No. Not for the girl who thinks white and grey is multicolored. And add insult to injury, the neckline doesn't work for me either. On a positive note: I definitely improved my fair isle technique.